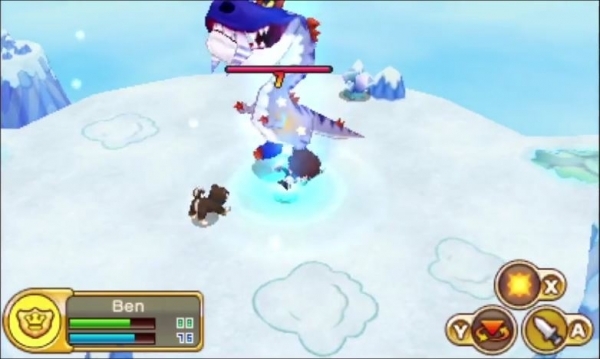 Fantasy Life is a fun and exciting game made by the developer Level 5. It is another one of the MMORPG-lite games that has a lot of things that people enjoy about an MMORPG without all of the baggage that comes with it. You can play this game completely in single player and take NPCs of your choosing along the way to help, or you can bring some friends (or strangers) along in multiplayer. Let’s explore why this title could easily become part of your 3DS library. Change to one of 12 Life classes at virtually any time to access different abilities. The combat class has fierce fighters, while the crafter class is skilled at making stronger weapons and tools. If you’re not in the mood for battle, switch to a gatherer class and spend some time as a lumberjack or a fisherman. Choose your own adventure and play your way. The game reinvents itself with each Life you lead. Traverse an area as one Life class and return as another to gain different items. Explore a robust open world with distinct areas. Own a house in each town and decorate with furniture you create. Do you ever feel indecisive? Do you worry about making a decision at the start of the game without knowing the full scope of the decision you are making? Then Fantasy Life is the game for you. Why be constrained to choosing 1 Life when you can jump around among 12 Life classes. Not in the mood to switch from one Life to another? 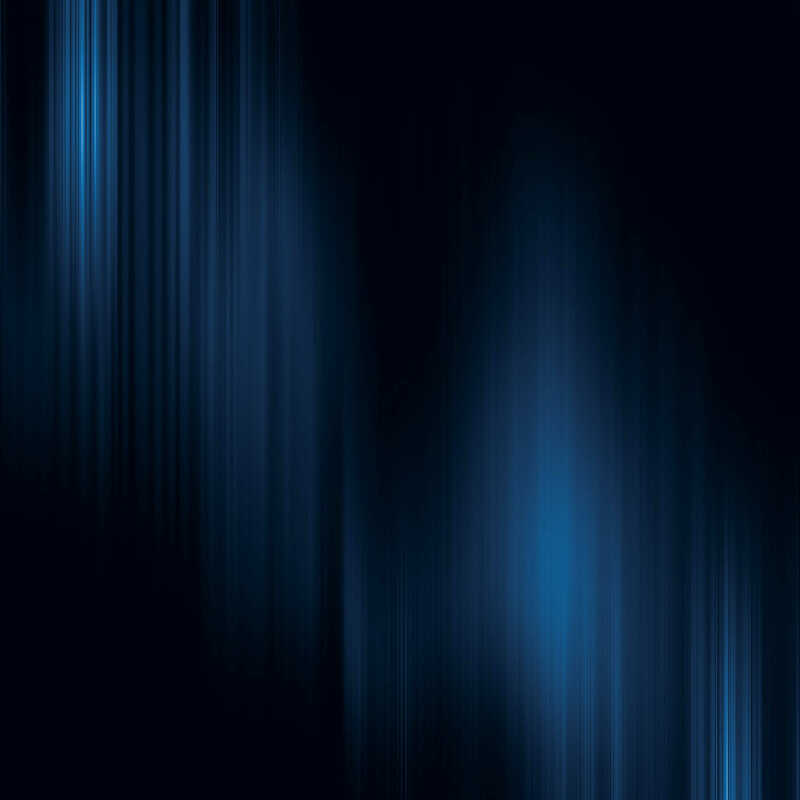 Fear not; any ability you have learned in one Life is available in all the other Life classes as well. Fantasy Life truly is a game designed to play in whatever way you choose. Need a story line as your guide? Meet the talking butterfly that will be your companion and guide you through the main story. Want to dive right into crafting? Feel free to do so. The first 20 hours I invested into Fantasy Life was spent in the artisan district crafting, creating, and selling. The crafting system is centered around QTEs (Quick Time Events) that enable you to create your items. The higher your skill level, and the better you preform the QTEs, the higher quality of item you can make. There are several quality tiers per item. Not a fan of QTEs? Not a problem. Take a fighter class and go hunt monsters and creatures in this completely open world experience. 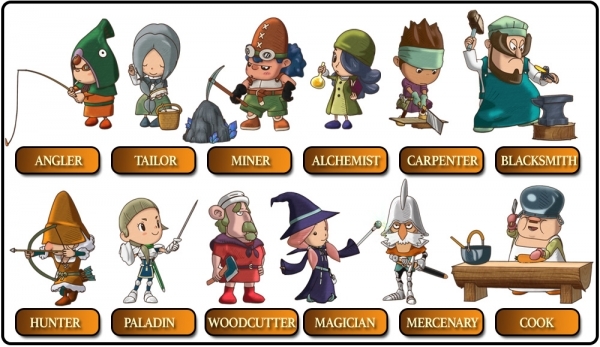 Fantasy Life allows the player to adventure and play the game in a way that they will find enjoyable. Whether you like to explore, hunt, gather, craft, quest, or even fish, there is something that can appeal to gamers of all ages in Fantasy Life. There are also 3 major quest lines. Life challenges are accomplishments and feats that a player must strive to achieve in the Life that is chosen on the path to mastering a class. The story is very engaging, unique, and all of the NPCs have their own personalities. Fantasy Life is cute, clever, and fresh. The game even breaks the fourth wall at times with its humor. There are also NPC quests that are referred to as wishes. A player can either choose to fulfill an NPCs wish or ignore it all together. The choice is up to the player! A Guild House is also available in Fantasy Life. Talk with the Guild Master to change your Life. Turn in special items or monsters for rewards at the Bounty Clerk. Record the size of the fish you caught with Lionel Lippes. StreetPass is available and utilized as long as it is activated with the StreetPass Clerk. Speak to the Ally Clerk and activate the ability to take screenshots and share notifications with your friends. 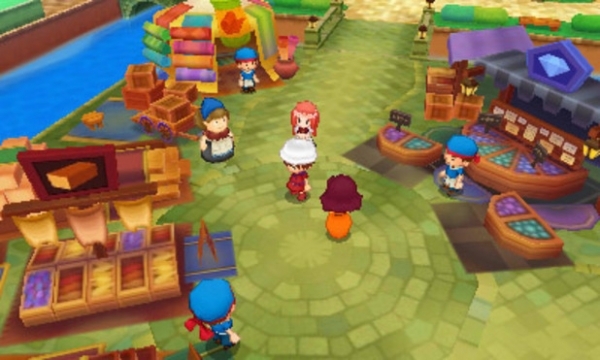 The screenshots are also available for viewing in the 3DS Camera feature. Speak to the Multiplayer Clerk to enable the multiplayer features to play with your friends. There is a real estate broker named Pam in the game. Buy a house from Pam, create your own furniture, and customize the furnishings however you like in your home. Don’t want to make it yourself? Feel free to buy it from the furniture shop instead. If you’re feeling particularly spendy or are a completionist like me, you can purchase a house in every major city. The combat system in Fantasy Life does what it needs to do, but I definitely feel it is just average and is by far the weakest part of the game. One of my biggest complaints about the game is when you are in an area of the world where you can battle or gather, you are going to run into the problem of accidentally drawing your sword when you meant to gather, or gathering when you intended to fight. Both functions share the A button. Why oh why wasn’t the prepare to fight button R? This mapping is quite annoying and something that should have been brought up in the beta testing phase. I find alerts to be annoying in two ways. 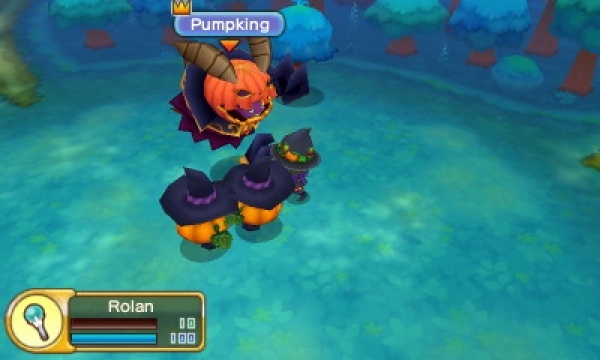 The most jarring complaint is alerts will pop up on the 3D screen of Fantasy Life. If 3 alerts pop up simultaneously, which they constantly do, they cover half of the screen, which at times hides enemies from the view of the player. A scrolling banner at the top or bottom of the screen would have been much more effective. The other complaint is on the touch screen portion of the 3DS. There is a menu option that gets an exclamation mark all the time that is persistent until you go into the menu and acknowledge whatever information is new to go away. Even if a tutorial pop up appears and explains in detail on the 3D screen what you just learned, an alert will also generate on the touch screen that you manually have to acknowledge. Why are we being presented with the same notification twice? Definitely qualifies as annoying. Fantasy Life released on Oct. 24th, 2014. It is available for purchase on the Nintendo eShop for $39.99. The game utilizes almost 7,000 blocks of information. You might want to consider purchasing a retail copy instead of using the eShop to save some memory on your SD card. Remember that the New Nintendo 3DS only comes with a 4GB mini SD card standard. Developer Level 5 is also creating DLC for the game. If Fantasy Life sounds like a game you would be interested in, go ahead and pick it up. You won’t be disappointed by the amount of content this game has to offer. However, if you feel the price is a little high, then feel free to wait for a sale. I think the “pull the trigger” price on the game is $24.99. 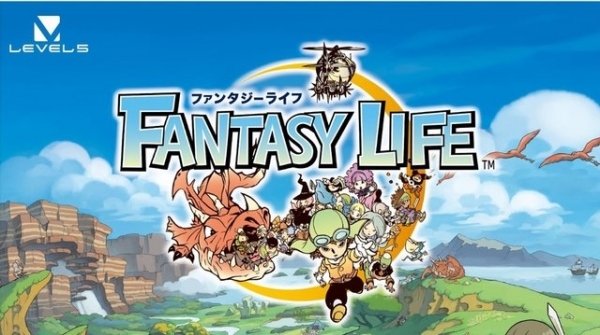 I hope everyone enjoys Fantasy Life and that you found this review to be helpful. Only one question remains… What Life will you choose? This entry was posted in Handhelds, Post, Reviews and tagged 3DS, Fantasy Life, nintendo, review, Saint Killjoy, Travis Patterson. Bookmark the permalink.